Established in the year 2007, we, 'Parimal Import & Export' are reckoned as one of the leading importers and exporters of a world class gamut of Non Woven Bag Making Machinery, Non Woven Fabric Making Plant, Waste Recycling Machinery, Pellet Making Machinery, Steel Forming Machinery, Disposable Cup or Glass Making Machinery, Bottle Making Machinery, CNC Machinery, Incense Stick Making Machinery, SS Pipes, Color Sorter Machines, Components, Air Compressor & Tank. Our range consists of Cereal Grain Color Sorter Machine, Air Pneumatic Regulator, Belt Type Color Sorter Machine, Peanut Color Sorter Machine and many more products of varied specifications & models. These are imported from reputed vendors of the market, who use quality assured raw material to develop their range as per international norms and guidelines. The machines and air compressors we offer are acknowledged for their excellent performance, low maintenance cost, simple operations and longer functional life. Moreover, our entire range of machine components and air tanks is widely applauded by the patrons for its durability, resistance against corrosion and ability to withstand extreme temperature. A spacious and sound warehousing unit is maintained by us for having safe and arranged storage of all the imported products. Sprawling over an extensive area of land, this facility makes it possible for our storekeepers to have categorized storage of all the products. The warehouse of our firm is always kept free from dust, moisture and other harmful contaminants, so as to ensure safe storage. Linked with variegated shipment network, our warehouse supports the logistic experts in providing prompt delivery of orders at the clients' destination. All our experts themselves realizes the importance of attaining organizational goals and strive for the same by working in coordination with one another. A team of procuring agents conducts varied extensive researches and market surveys to find our the best manufacturers of our offered range and associate ourselves with them. Every professional of our firm is completely aware with the pros and cons of his/her assigned department, which benefits the firm in successfully accomplishing all the tasks with perfection. Owing to sound infrastructure facility, diligent workforce, ethical trade practices and honest dealings, we have mustered numerous patrons for ourselves, across the world. Under the valuable guidance of our manager, 'Mr. Ankit R. Vagadiya', we have been able to attain a formidable position for ourselves in the highly competitive market. His charismatic managerial skills, detailed industry knowledge and fascinating decisions making qualities have enabled us to win the faith of numerous patrons. We work collectively to accomplish the goals of delivering operational excellence, as we noticeably understood that our prosperity depends on the progress of our people. Promoting a collaborative work atmosphere, we appreciate the ideas and innovative efforts of our people and operates best to promote their potentials. Our team includes highly experienced engineers, technicians and other procurement experts, along with quality analysts and sales and marketing personnel. 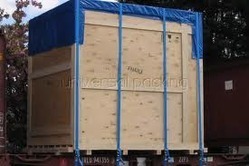 We Provide Plywood packing for machine. A spacious and sound warehousing unit is maintained by us for having safe and arranged storage of all the imported products. Sprawling over an extensive area of land, this facility makes it possible for our storekeepers to have categorized storage of all the products. The warehouse of our firm is always kept free from dust, moisture and other harmful contaminants, so as to ensure safe storage. Linked with variegated shipment network, our warehouse supports the logistic experts in providing prompt delivery of orders at the clients destination. We have been associated with some of most trusted vendors of the industry for procuring the range of defect-free Color Sorter Machines & Components and Air Compressors & Tanks. 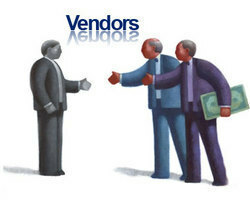 Our team of experts selects the most authentic vendors for sourcing the range of products as per the market demand. The vendors associated with our organization make use of the best quality components and other material for manufacturing the entire range of products. Moreover, they employ cutting-edge technology and sophisticated machinery for designing, manufacturing, quality checking and packaging the products in compliance with the international quality standards. For our company, the key to achievement lies in getting & magnifying the comfort level of honorable clients. From taking care of their specs to charging economical rates, all our efforts converge on gaining the trust of customers. Moreover, we keep ease of patrons in our understanding and receive their payments via the variety of modes, which accommodates them as per their comfortable. Our patron determined policies, promptness, specific solutions and outstanding track records have permitted us to endure a step ahead of our counterparts. The support and positive feedbacks of our esteemed customers made it feasible for us to go beyond the expected. Apart from the profitability businesses, our day to day business processes is inlined with the company goals of our customer base. Moreover, what presents us stand in the excellent stead of various procurement initiatives is our abundance of industrial expertise and technological adeptness. We understand our resources and skills have delivered the company a paradigm of competing business.